Valentines day is like this warm little sweet spot right in the middle of winter. All of the love that is in the air is as contagious as the flu. I love it! It’s definitely a day to be celebrated. Like any celebration, the day calls for some festive decorations. 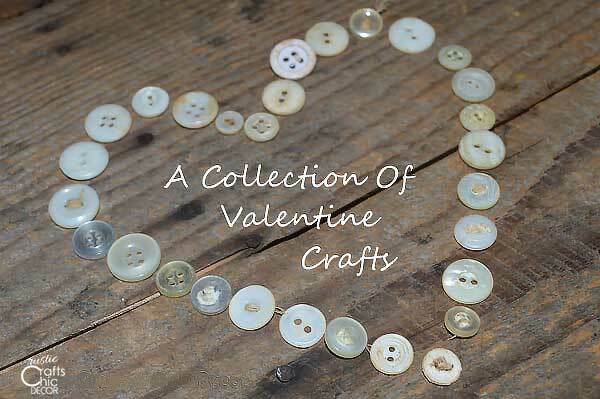 I’ll show you some rustic valentine decor that you can easily make yourself. I think that when you combine rustic decor with a Valentine theme, you get an extra warm fuzzy. Rustic styling is so warm and comfortable anyway. And then, when you combine that with all things love, it makes for a nice warm atmosphere. When I first saw this wooden Valentine sign, I thought that the words were woodburned into it. However, the lettering was actually done with wood stain. First the words were stenciled onto the wood and then they were filled in with the stain. I really like this idea because it looks so rustic. Of course, I also love that the sign is attached to an old window! This is such a simple idea but I absolutely love it. How romantic is a heart tree carving? All that was used to make the carving was a little pocket knife. Super cool, authentic and rustic! 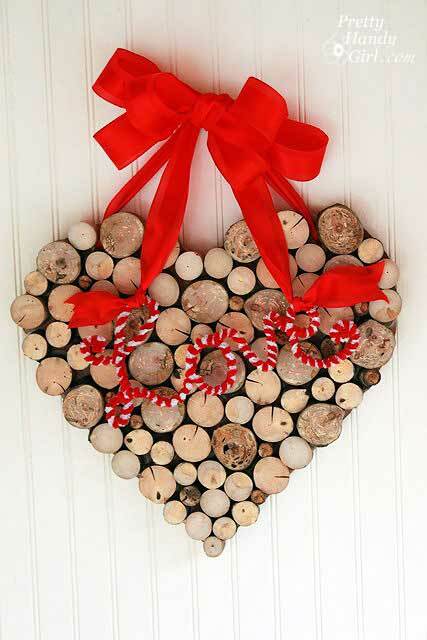 The little rustic log makes a great base for other Valentine decor. 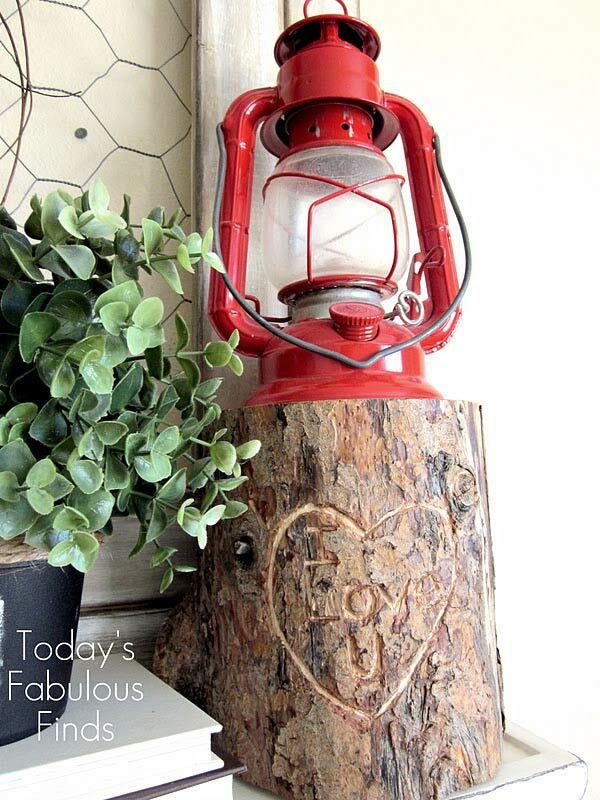 For a similar idea, see how I used a wood burning tool to carve out a heart on a birch log lamp. Although this rustic wooden heart wreath takes a little bit of time to put together, it’s worth the effort for such a warm heart. The word love was formed out of wire and then wrapped with pipe cleaners to make it really stand out. 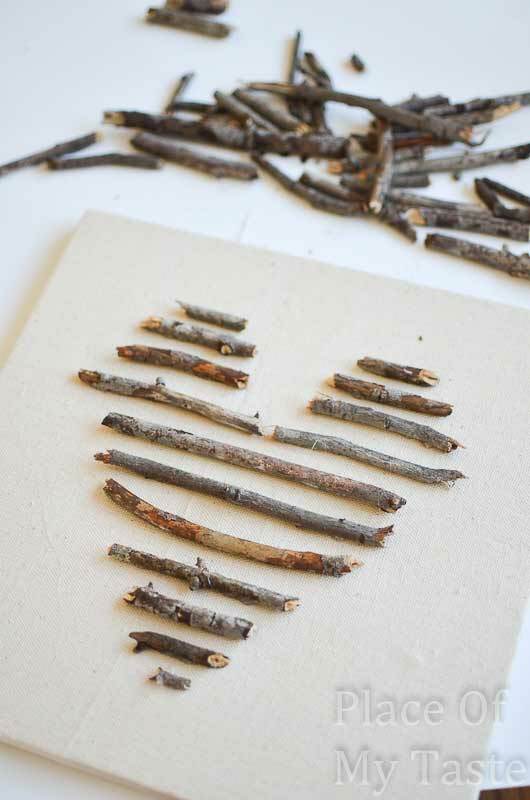 If you didn’t want to take the time for cutting all of the branch pieces, you could also make a rustic heart using wine corks. Here is an idea that is super warm and cheery. I love the whimsical look of the striped pitcher and always like the look of simple branches displayed in a bunch. The polka dots on the paper hearts are such a nice contrast to the pitcher. This same idea could be done in a lot of different looks. A white pitcher with soft pink hearts on the branches would also look nice. Or, a black container with red hearts is an option. 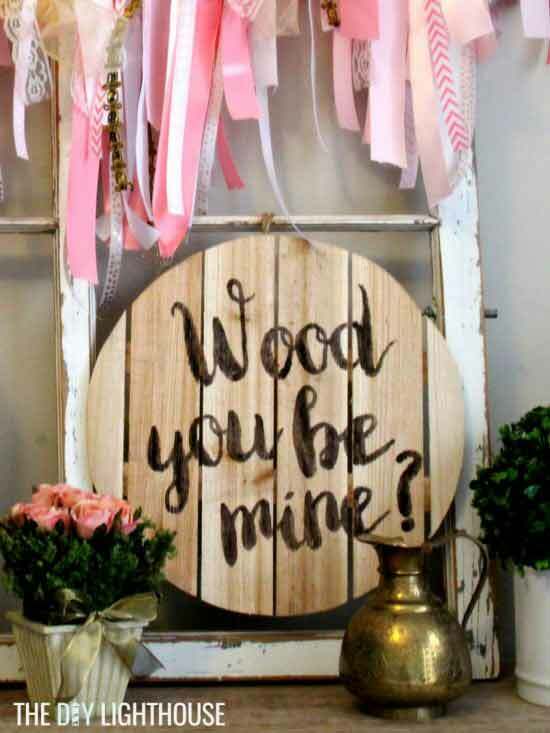 This may be my favorite idea for rustic valentine decor. The simplicity of the design is what I really like. It doesn’t get much easier than lining up small branches on a canvas! 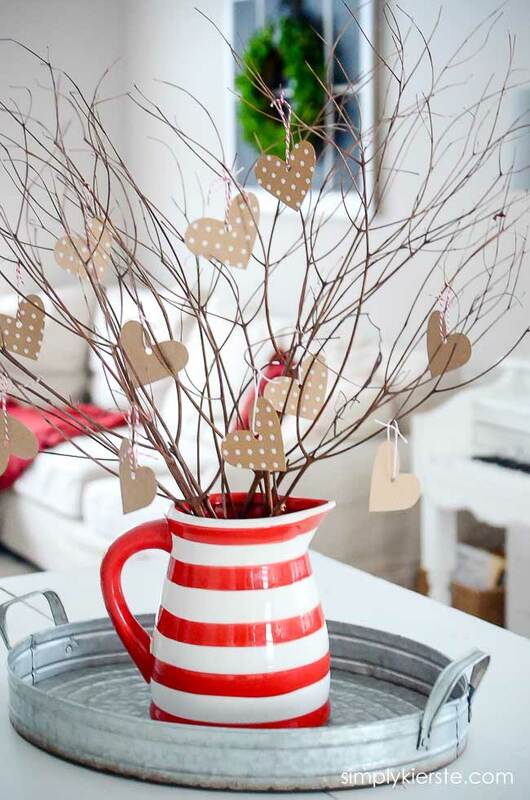 I have hundreds of more ideas for Valentines Day decorating that you will want to check out. See the following posts for more inspiration.